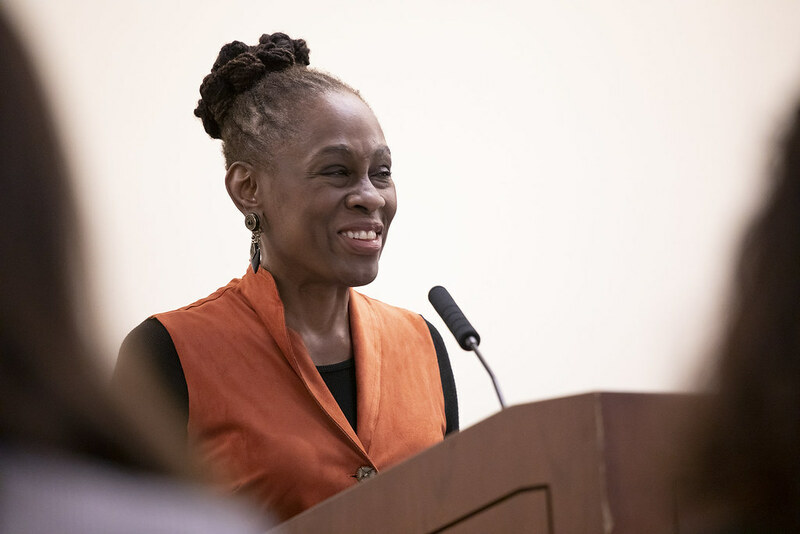 President Sian Leah Beilock and First Lady Chirlane McCray kicked off the third season of the Gracie Book Club on January 28. Author Nana-Ama Danquah read from her memoir Willow Weep for Me: A Black Woman’s Journey Through Depression and joined in discussion with Professor of Psychology and Africana Studies Colin Wayne Leach. The Gracie Book Club is a project of First Lady McCray and is part of her ongoing commitment to literacy and New York’s diverse cultural well-being. This season, the Gracie Book Club explores the culture of shame that surrounds mental illness. The Club is open to anyone who wishes to participate. The books that Club members are reading together and discussing offer an opportunity to challenge biases and stereotypes about mental health care through storytelling.